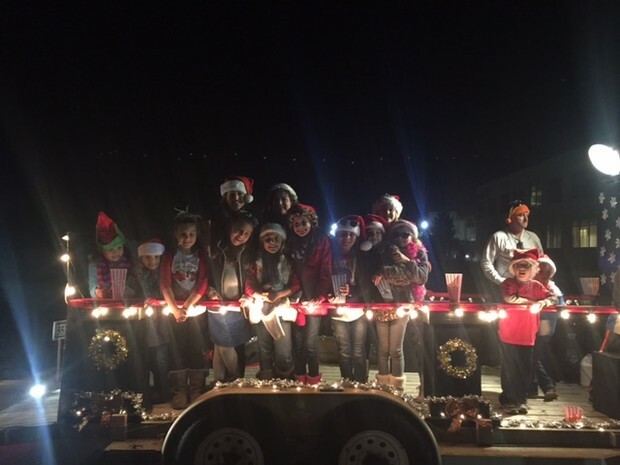 Last Thursday evening was a fantastic night for our students who participated in, or attended, the Parade of Lights. It was a beautiful evening with a record-breaking crowd. Thank you to our amazing Dad's Club for assembling a GES float and allowing our school to be represented in such a fun Grapevine tradition. A special shout out to James Bangs who worked to organize our Dad's Club for the design, build and orchestration of our school's participation in the parade. Students whose dads worked tirelessly on our float wore Santa hats and waved to the crowds while singing Christmas carols. A good time was had by all! We hope your family was able to see the GES float and heard our heartfelt "Merry Christmas" wishes! Please remember that all GES students are dismissed at 2:45pm. Any students who are not picked up at dismissal will be taken to our on-site extended care provider- Kidzu. Parents will be charged for this after school service. 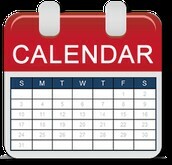 Please make sure that your child knows how he/she is going home each day and that any transportation changes are communicated with the GES front office/your child's teacher prior to 2:30pm. Additionally, students will not be checked out through the front office after 2:30 for appointments due to the end of the day procedures occurring in the classrooms. We appreciate your cooperation. Please remind your students to check the Lost & Found in the front foyer for their misplaced items. All unclaimed items will be donated on 12/18/15. Forgotten items brought to school by a parent will be placed on the Forget Me Not table with a sticky note to label students' name. Lunches can be placed on the table, or put in the teacher's lunch bucket in the foyer. Please note the GES office staff will place forgotten homework, eyeglasses and iPads in teacher mailboxes, rather than leaving them on the table. Only these specific items will be put in teacher mailboxes and will be collected by the teacher during his/her conference period. Please note that teachers will not be called and items will no longer be delivered to the classroom. We hope you will take the night off from cooking dinner and join us for a good cause. GES will have a spirit night at Red Robin in Grapevine on Wednesday, December 9th. 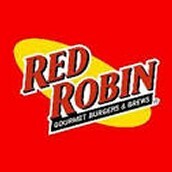 Teachers & administrators are working shifts from 6:00-8:00 and the class(es) with highest student attendance will win a prize from Red Robin! 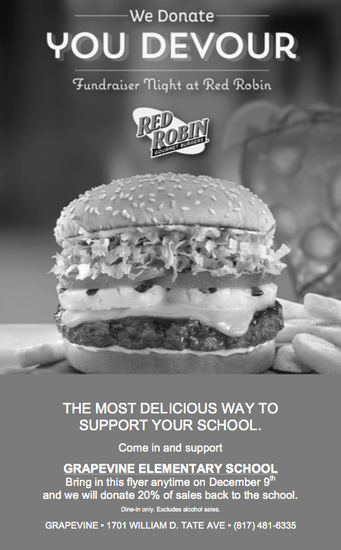 Parents can go to Red Robin for lunch, or dinner, and mention GES to help us out. Please see flyer image below, or email attachment, for more information. GES will earn 20% of all sales that mention Grapevine Elementary! Thanks for your support. We hope to see you and your family! Please consider supporting those families who are less fortunate. GES is collecting items for the GRACE Christmas Cottage and we'd love your help! See the list below for their requested items. All unwrapped donations can be sent to school between now and December 14th. Thanks in advance for your generosity! Please make sure that all gifts are new and unwrapped. Wrapping paper, tape, bows and batteries are always needed. If you choose to continue shopping after the 14th, please deliver your donations directly to GRACE. Please contact Mrs. Horn at angela.horn@gcisd.net with any questions. Soccer balls size 3, 4 & 5. Bath & Body Works lotions, etc..
*GRACE traditionally runs low on these items. For some of our families, providing a nutritious snack each day to assist their GES star’s performance throughout the day does not happen consistently because of food insecurities. If you are able, please donate individually packaged Goldfish or pretzels in order to help us provide that snack for students that arrive at school without it because of the insecurities. 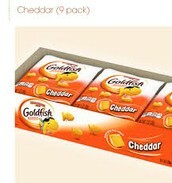 This would not pertain to students that simply forgot a snack that day. If your Star forgets his/her snack often, sending multiple days worth of snacks might help. 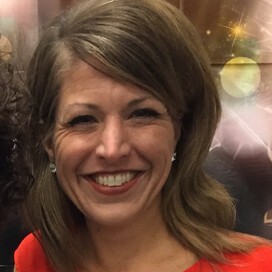 For questions, please feel free to contact Angela Horn at angela.horn@gcisd.net or 817-251-5740. Thank you for your continued generosity and thoughtfulness. We are blessed to have so many wonderful volunteers who give of their time to benefit our students and teachers at GES! Thank you for your service to our school. We will be awarding the top 24 volunteers with the most hours this semester with a fun celebration! 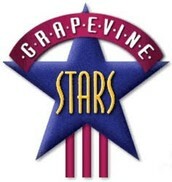 We will be going to Dry Bar in Grapevine on Tuesday night, January 19th and volunteer winners will have their hair styled. Dry Bar has graciously given us this fun opportunity! Please continue to log your hours as we’ll be counting them through the end of the year. All hours count! Chaperoning field trips, cutting/gluing items at home for the teacher, reading in class, attending PTA or homeroom mom meetings, planning parties, and all carnival hours count! 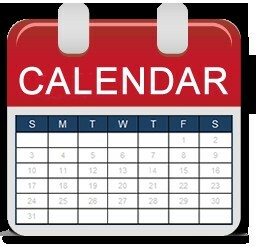 Be sure to record your hours so we can keep track of our PTA's dedication! Please click this link to take a quick survey about the GES Carnival. The GES PTA is always striving for excellence and would love for feedback to make the carnival better each year! https://www.surveymonkey.com/r/CS5Y833 Your participation is much appreciated! 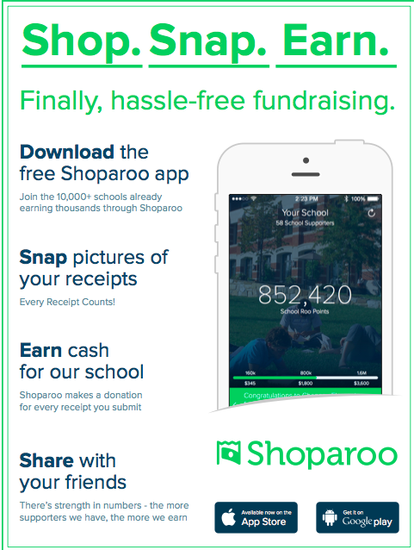 Don't forget to use Shoparoo! Shop. Snap. Earn. 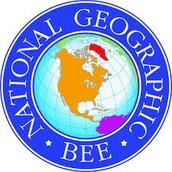 See the flyer for more information on how to earn money for GES. "CHRISTMAS IN THE CASTLE" will be held Saturday, December 12, 2015 with the CHHS Theatre Department. This all day theatre workshop for elementary students is a wonderful opportunity for children in grades K-5 to experience the fun of theatre! Royal participants will enjoy crafts and games, design and paint scenery, learn a song and dance number, and perform for family and friends on the CHHS Mainstage. Parents will enjoy knowing they have 6 child-free hours to accomplish holiday tasks! Snacks and Lunch will be provided. Participants are encouraged to come in their favorite costume! 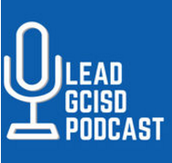 Are you interested in learning more about LEAD 2021, GCISD's long range plan? You should subscribe to the new LEAD GCISD podcast at: https://goo.gl/z3rdsp It's a new way for GCISD to communicate information and successes with the community. A new podcast will be released every Tuesday until Christmas break.